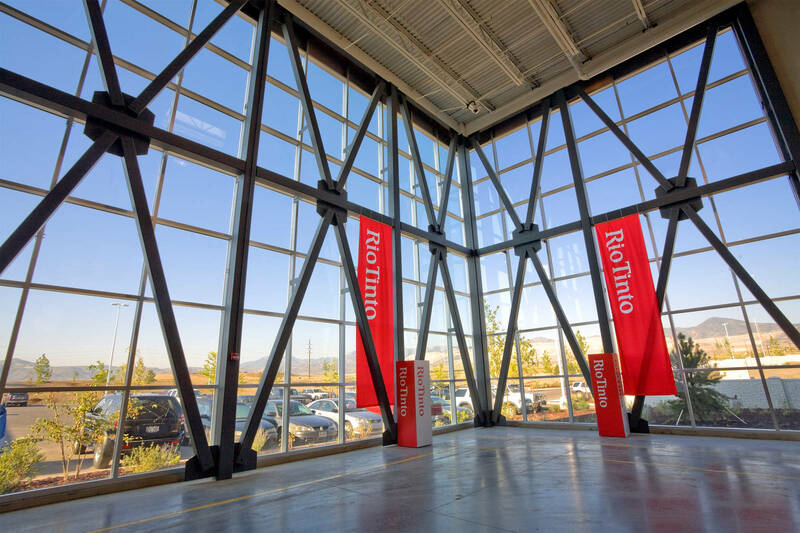 Rio Tinto’s primary goal for this project was to consolidate its warehouse space from 19 separate units around the Salt Lake Valley into one building. 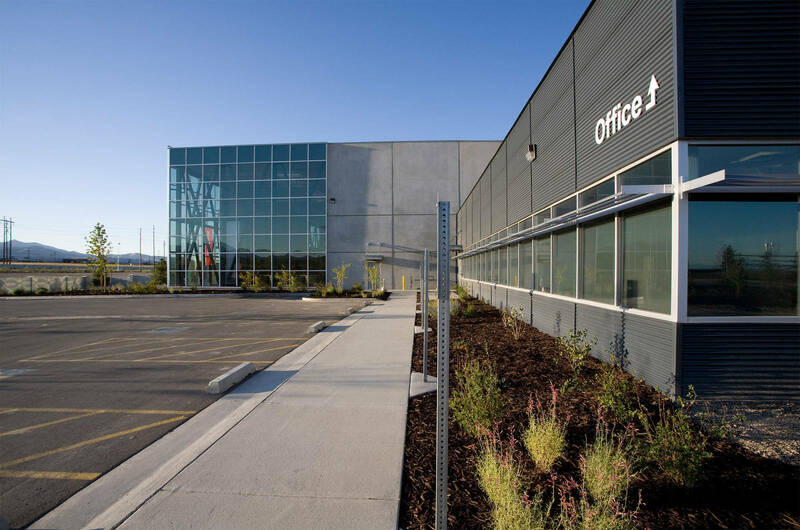 This goal alone helped reduce Rio Tinto’s environmental impact because the finished warehouse had a smaller footprint than the other warehouses combined. 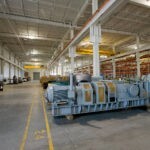 What’s more, the consolidated warehouse was far more energy efficient. From the foundation to the roof, the 240,670-square foot building incorporates green materials at every level. The “cool roof” is covered in thermoplastic olefin, a reflective white material that minimizes the heat from the sun. 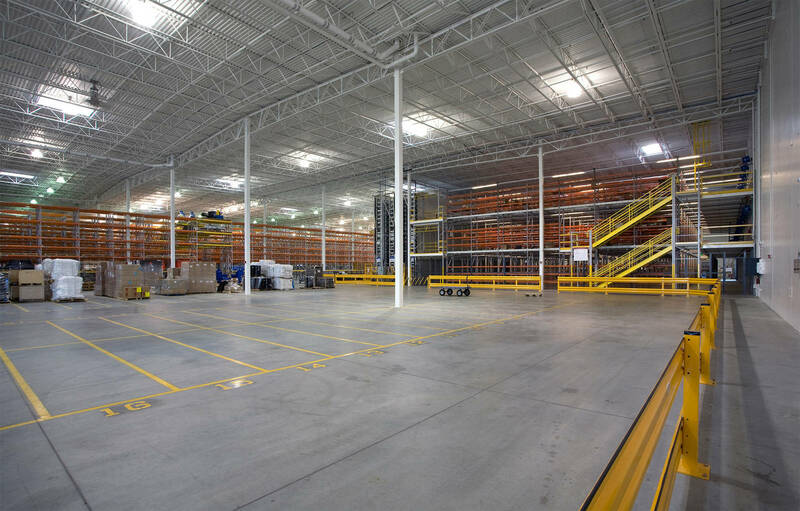 As a result, the warehouse has no air conditioning—ceiling fans provide all the cooling the building needs. 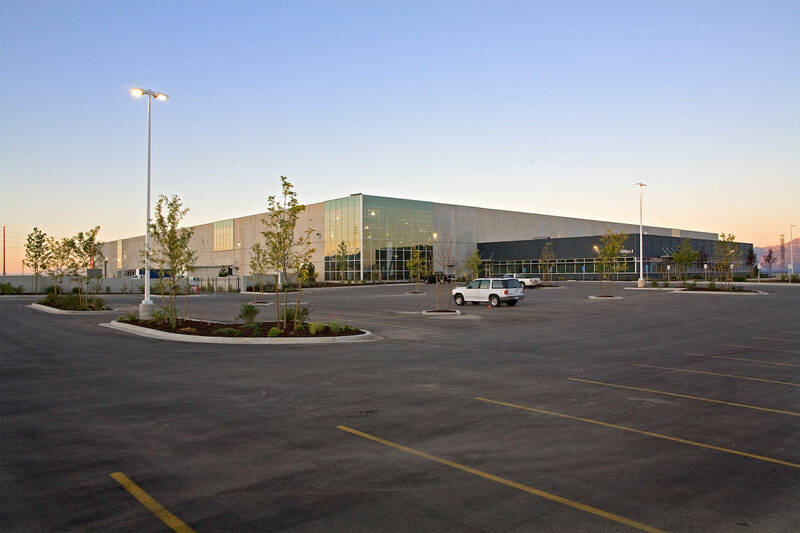 To minimize the environmental impacts and costs of transportation, 21.6 percent of the building’s materials were extracted, processed, and/or manufactured within a 500-mile radius of the site. In addition, almost 34 percent of the building’s materials are made from recycled waste. During construction, Big-D participated in the goal of sustainability by disposing of approximately 92 percent of the construction waste at appropriate recycling facilities. 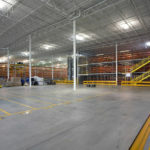 The consolidated warehouse serves the company’s needs far more effectively than the previous warehouses did. 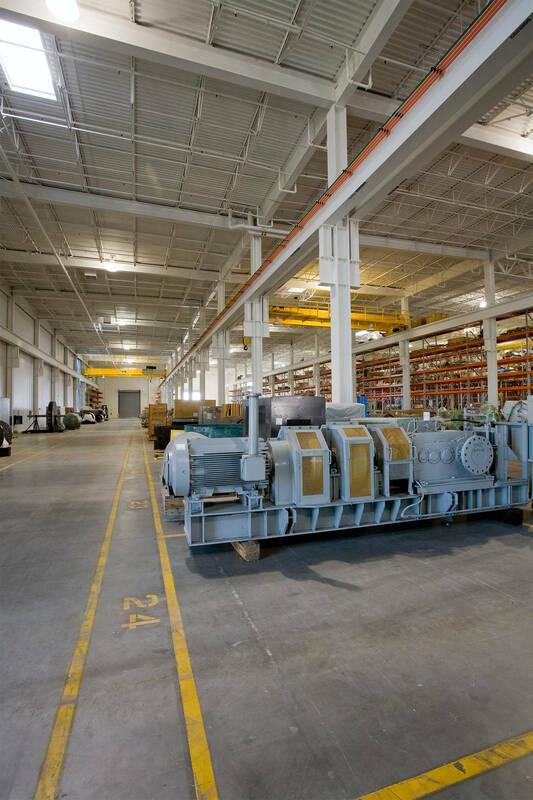 The 225,000-square foot warehouse has 20 truck doors and two overhead crane bays. 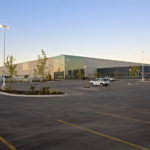 The cranes are part of the state-of-the-art storage and retrieval system that makes the warehouse more space-efficient by allowing taller storage. In addition, the facility has 15,600 square feet of office space. The facility sits on a 34-acre site in the company’s Daybreak land development, a multi-use area that prioritizes walking and mass transit. The landscaping around the facility is low-water use, and the irrigation system uses only non-culinary water. 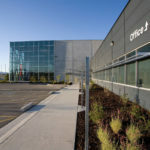 Rio Tinto/Kennecott Utah Copper struck gold with this building, which will pay dividends in cost savings as well as reduced environmental impact. 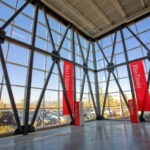 For the next two years, Rio Tinto has agreed to purchase green power that will account for 10 percent of total electrical usage.